For our spectacular 41st season, we’re offering our best prices on season tickets! Simply purchase your subscription to our 2019 – 2020 season by May 10, 2019 and you’ll receive 30% off regular ticket prices. 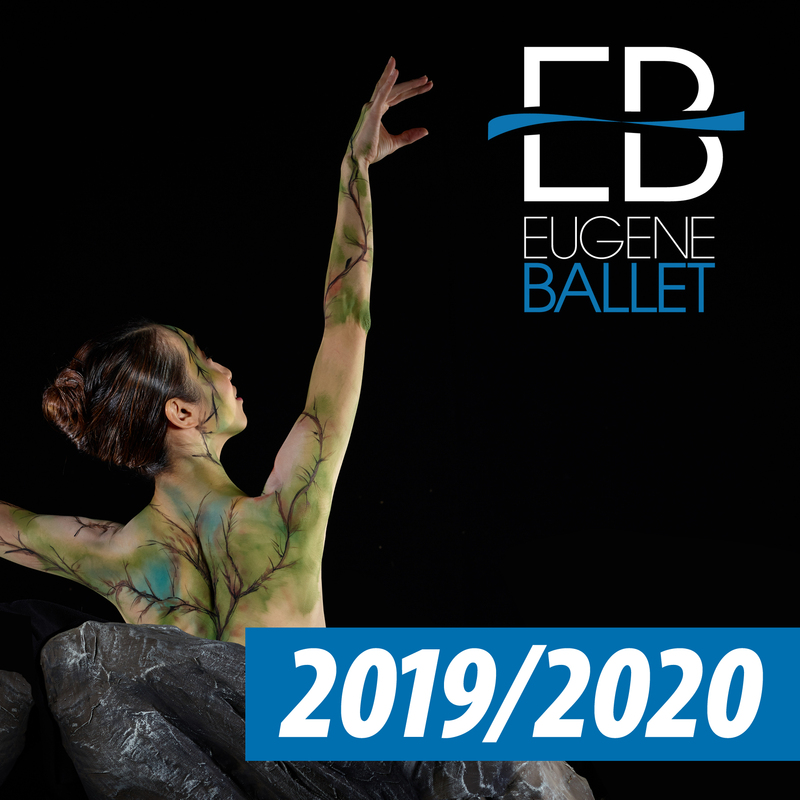 Becoming a Eugene Ballet Season Subscriber is one way of expressing the value you find in us and what we bring to this community. It’s also the best way to ensure that you have your favorite seat for each performance this season, and seasons to come. 15 percent off Adult Season Subscriptions* ordered after May 10, 2019 (does not apply to tickets purchased to The Nutcracker). Premiere seat selection for both Special Events: The Nutcracker. *Youth Season Subscriptions for Section A qualify for both discounts as stated above. If you would like to request a seat change, please submit your renewal by mail or call the Hult Center Ticket Office at 541-682-5000. If you have not used My Hult Center Tickets, use the account number and default password listed on your renewal form. You will be able to create your own password after you are in your account. If you are a returning subscriber, log in with the account number OR email address listed on your renewal material. Use your password from previous years, or if you have forgotten it, request a new password. Click the RENEW button below to complete your online renewal. View our 2019-2020 announcement for details. New subscribers can submit orders by mail, by fax or phone, in person or online. Click on SUBSCRIBE to select Evening or Matinee Series, seating section, and priority seat selection for Special Events (The Nutcracker and Star Dust) before single tickets go on sale August 1, 2018.